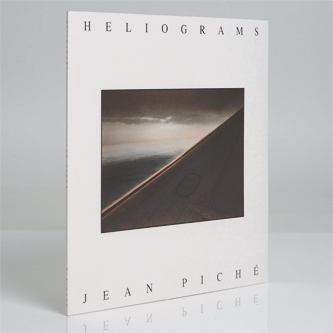 *Much needed reissue of this early computer music classic, recorded between 1977 and 1980 and one of the first albums to feature music produced almost entirely with digital synthesizers. Remastered from the original tapes and cut to vinyl at D&M Berlin - made in an edition of 700 copies only, initial copies come on strictly limited white vinyl* Digitalis dig deep to unearth and reissue one of the first albums to be produced almost exclusively on digital synthesizers. 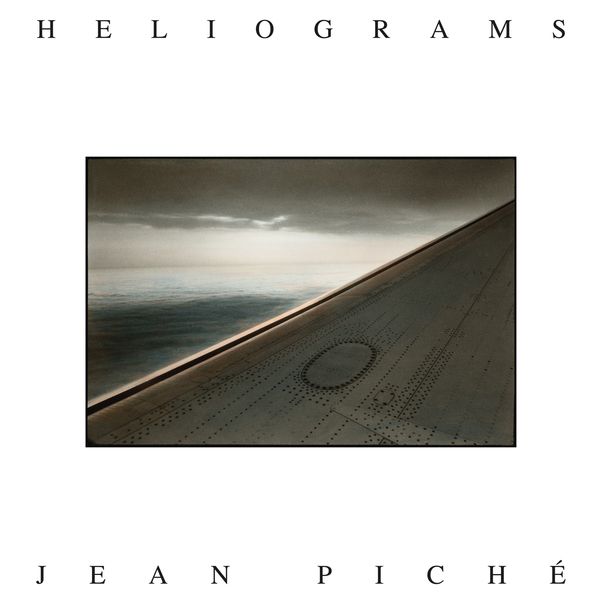 The work of Canadian composer and video artist, Jean Piché, his densely layered and harmonically rich 'Heliograms' was pieced together between 1977-1980, inspired by the music of Terry Riley, Steve Reich and Lou Harrison and enabled by new computer and digital synthesis techniques developed at Simon Fraser University (SFU) in Vancouver, BC, and Stanford University, California. It was released in 1982 by a small Canadian record label which specialised in classical music, but as history would have it, the label went bankrupt pretty much as soon as it came out and the treasure was obscured from the view of all but the most ardent electronic music fiends. Now rescued from the annals, we're presented with three solemn, star-gazing wonders which really need to be heard by a wider audience. The first piece and highlight, 'Ange' constitutes sounds created on the Systems Concepts Digital Synthesizer, aka the Samson Box, during a residency at Stanford University Center for Computer Research in Music and Acoustics (CCRMA) facilities. This prototypical system was designed to synthesize complex musical events in real time using FM synthesis, and once melded with the voices of Piché and Joanna Anonychuk back at the analog studio of SFU, its oceanic waves of microtonal frequency drift recall Popol Vuh's ultra-lucid and celestial elevations. It's joined by the more tentative, tingling microtonal piece 'Lamerlaube' on the A-side, while the two-part B-side returns to the Interactive Compositional System developed by Barry Truax at SFU. By contrast, it presents much more rhythmically and instrumentally diverse facets of his work, incorporating ecstatic organ bluster and moments of darkly blissful, Badalamenti-esque melancholy. It's a truly striking, historically important release, reminding us of everything from Suzanne Ciani to Vangelis, Leyland Kirby, Popl Vuh and beyond - now subtly enhanced by James Plotkin's remaster and a faithful vinyl cut at Berlin's D&M.